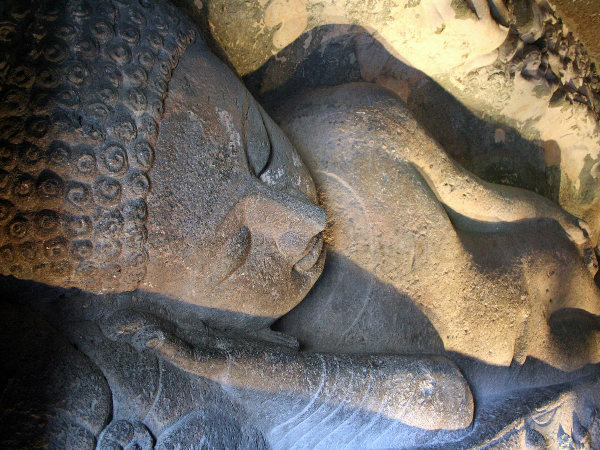 »Interesting Facts About Ajanta Caves in Maharashtra! Interesting Facts About Ajanta Caves in Maharashtra! Ajanta caves are among the best cave monuments of India. Being one of the surviving examples of ancient Indian art, these caves have some amazing facts that are worth knowing. Let us take a journey through this wonder of Maharashtra and know about some of the interesting facts of Ajanta caves in India! Since 1983, Ajanta caves has been listed among the UNESCO World Heritage Sites of India. It is also a protected monument which is taken care by the Archaeological Survey of India (ASI). Ajanta caves were discovered by an Army officer in the Madras Regiment of British Army in the year 1819. The caves of Ajanta are believed to be existent since pre-Christian era, the oldest being Cave 10 which is dated back to second century B. C.
Ajanta caves are a cluster of 30 rock-cut caves that are a true representation of earlier Buddhist architecture, sculptures and cave paintings. The sculptures and other structures of these caves were built by monks who used simple tools like hammer and chisel to carve the stories depicted here. The main theme of the carvings here are the illustrations and events related to the life of Buddha. They also portray Buddhist philosophies and teachings of Buddha. A strong influence of artistic styles from Tibet and Srilanka are seen in the paintings at Ajanta caves. The binding material used for most of the paintings is glue. The caves of Ajanta were excavated from a horse-shoe shaped cliff along river Waghora. The Ajanta caves were used as a refuge by monks during monsoon seasons. Ajanta caves are popular across the world for its stunning murals and other paintings that contribute to the world art and are considered to be treasures of ancient Indian art.